Protect access to your mainframes and secure encrypted data flow with the most trusted software in the industry. 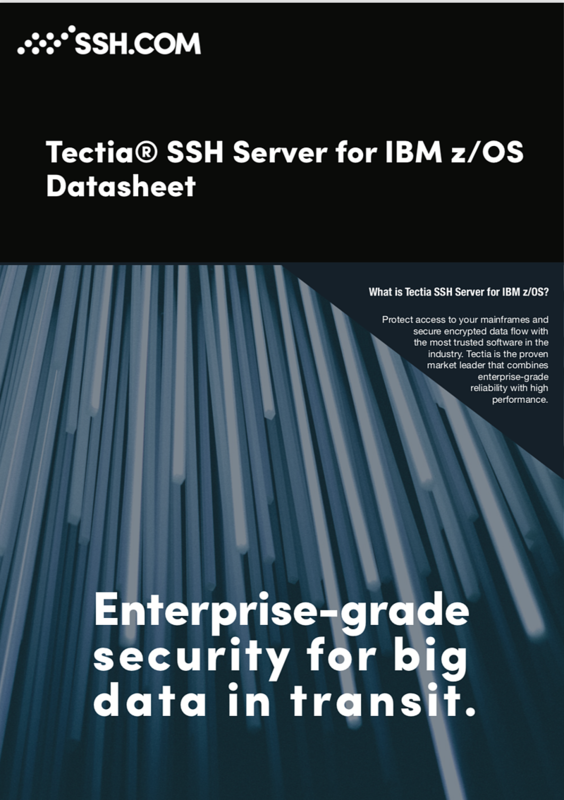 SSH.COM's Tectia Server for z/OS is the proven market leader that combines enterprise-grade reliability and up to 24/7 support with high performance. From SSH.COM, the inventors of the SSH protocol. Read in-depth in the datasheet.